When I came home from school, it was a good day if there was a packet of Arnott's Spicy Fruit Rolls in the cupboard, an even better day if there was a packet of Arnott's Royals, with fluffy marshmallow, crumbly biscuit base and thin, hard veneer of chocolate. The Royals were eaten like dessert, and only on special occasions, though I never knew what the occasion was. The Spicy Fruit Rolls were an after-school treat, their sporadic appearance as much a mystery as the Royals. In trawling my collection of old cook books for a biscuit suited to hot mugs of chai tea and crackling open fires, I found a 1941 recipe that read something like these afternoon tea treats of my childhood. 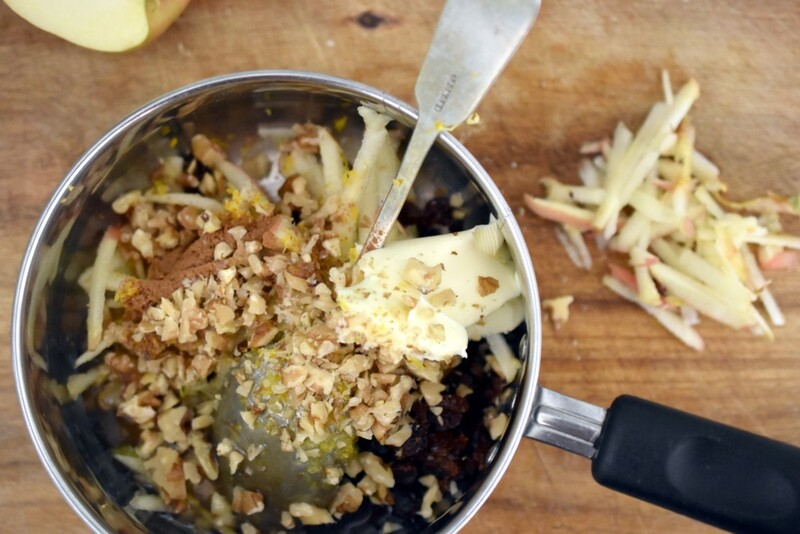 Lady Abbess' Cushions, from MUMS Recipe Book, call for a filling of raisins, fresh apple, honey, butter, chopped walnuts, lemon rind and mixed spice. You can almost smell the warm, rich filling. The pastry case is not unlike a lemon shortbread, rolled thin and folded over the fruit mixture before being baked in a quick, or hot, oven. The result is an amazing match for the Spicy Fruit Pillows of the 1980s: I can't speak for now, it's been a while since I bought a packet of sweet biscuits. The baking brand MUMS produced baking powder, jelly crystals and custard powder and among the many cakes, pastries, scones, puddings and jelly crystal recipes are wonderous titles like Singapore Cake and Wahroonga Pie. There's a Dolly Varden Cake recipe and something called a Hurry-Up Cake, supposedly made quickly because there was no beating of butter and sugar. Speaking of butter, this is a wartime cook book, and I'd assumed butter and sugar were rationed during the time. Lady Abbess' Cushions call for three-quarters of a cup of butter, or 170g, quite a lot for wartime cooking but it turns out butter rationing didn't start until 1943. 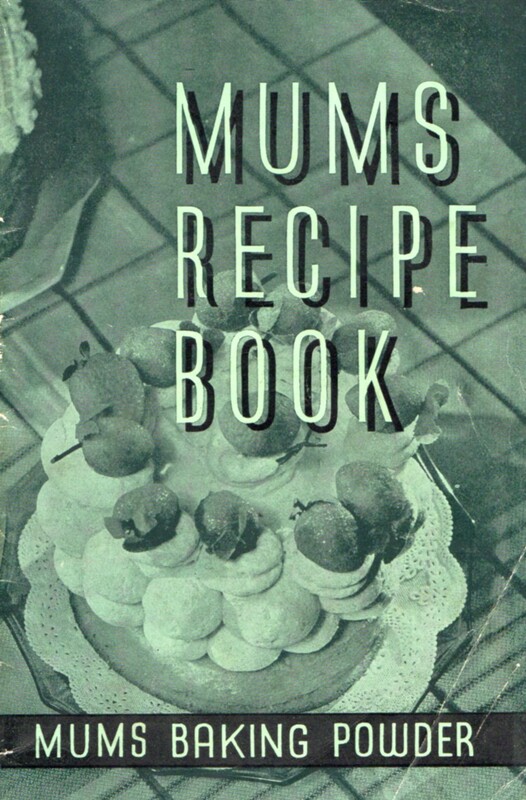 Recipes, let alone the choice of afternoon treats, would have had to change quite a bit to accommodate rationing. 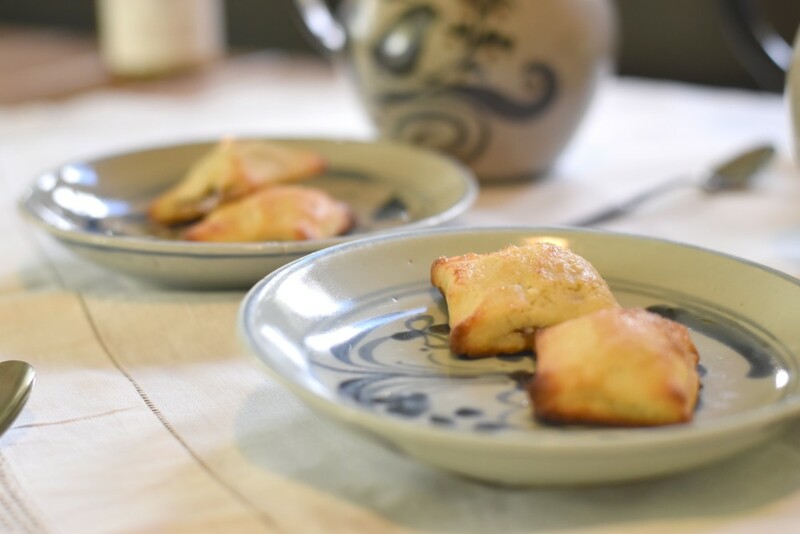 History lesson and rationing aside, for those brave enough to spend a little time to puzzle over a recipe that assumes there's a wood fire in the kitchen, a luxury afternoon tea biscuit is your prize. Put all filling ingredients into a saucepan and place over a gentle heat, stirring until thick (a bit like the consistency of a chutney). Cool before filling the cushions. Roll out thinly and cut into oblong shapes. 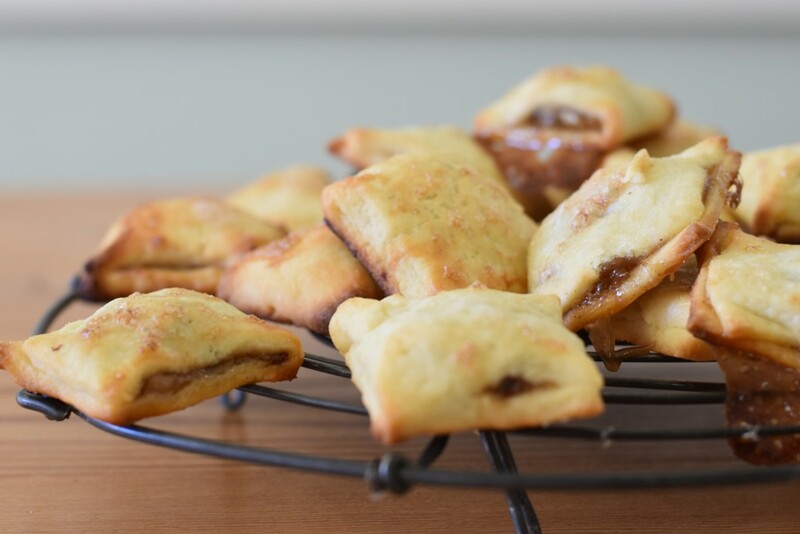 Cover half of the paste (interesting that it's not called a dough or pastry) with a little filling (about a teaspoon) and fold over to make a square. Give each corner a twist (I kind of pinched mine). Brush with the reserved, beaten egg yolk and dust with castor sugar. Bake in a quick oven (mine was set for 220C and was too quick, 200C was too slow) for 15mins. Delicious hot or cold (true that). Thanks for this recipe Kate. I love the occasional Arnott's Fruit Pillow but I am sure this homemade version is better.